Evergreen Health has been an outstanding healthcare provider for the Puget Sound and beyond. Having recently celebrated the hospital’s 45th birthday, the northwest medical facility is astonishing us with numbers of growth! In 2017 Evergreen Hospital was named among the top 10 in the Best Regional Hospital by US News & World Report among other awards! In addition to superior healthcare, the Kirkland, WA native has extensive green practices. Keeping their patients’ lives a top priority in, and out, of the hospital. With over 4,000 employees and an upscale community surrounding; Evergreen makes sure measure ever environmental impact. Sani-Tech Systems was able to further the hospital’s EcoFriendly efforts with Auger Compactors installed every few years since 1999! We’ve continued to add Cart Dumpers, Corrugated Compactors, and more over the years as the hospital has grown. Shifting from a hospital with just 76 patient beds to a multi-location medical group with over 300 patient beds! This hospital has more expansions planned and counts on Sanitech for continued Auger Compactor installs. 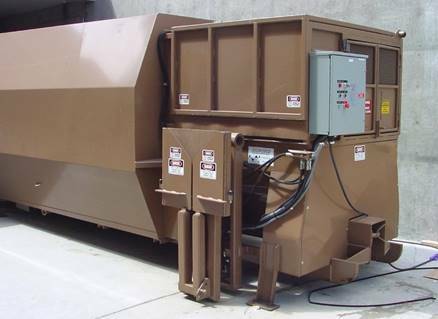 Our Commercial Compactors are made to last and we guarantee each Hospital Compactor meets EPA standards. Find out more about our Hospital Compactors here!